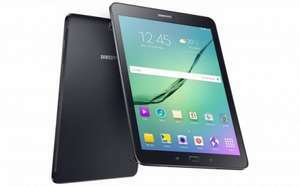 Samsung are running a £50 cashback promotion on all Galaxy Tab S2 tablets. This would be good... apart from all the retailer prices being up near £300 for the cheapest model again. I got mine last week for £219 + 10% cashback from Quidco when they were doing 10% on tablets from Currys. Where this might get interesting is that the cashback is valid for purchases up to 31st Dec, so might well see a price drop again in the New Year sales which would make this cashback decent. Currys, PC World and Carphone Warehouse . I bought mine on the 2nd form Currys I think. Might have to do a bit of editing of the invoice in MS Paint and send it over. has worked in the past. Is it for 8 inch version too?